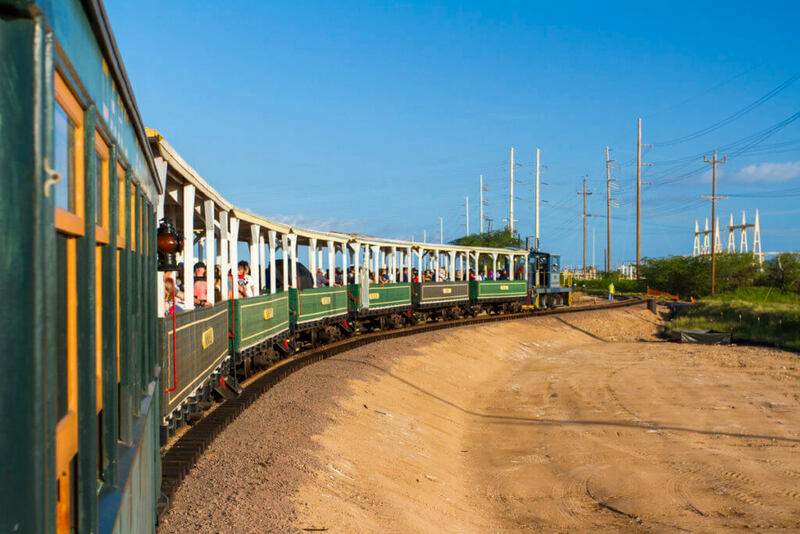 Did you know that Oahu has an actual railroad? Or did. 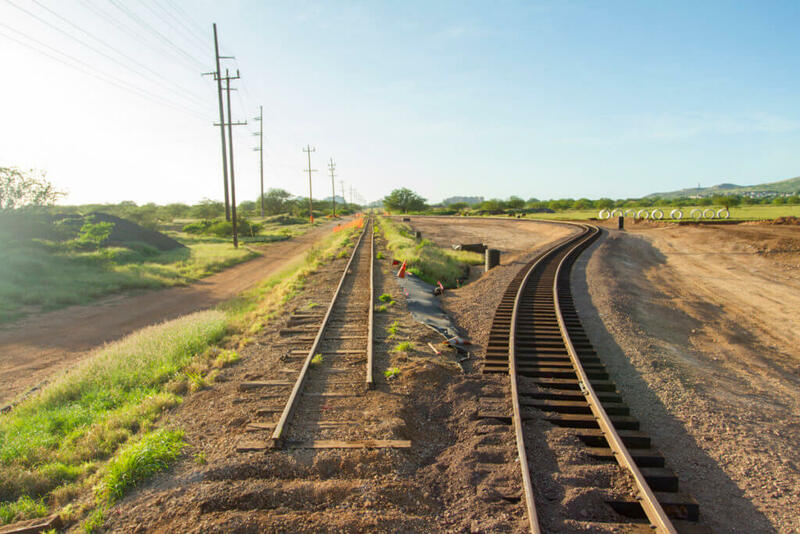 And what's left of the Oahu Railway is now cared for by the Hawaiian Railway Society. 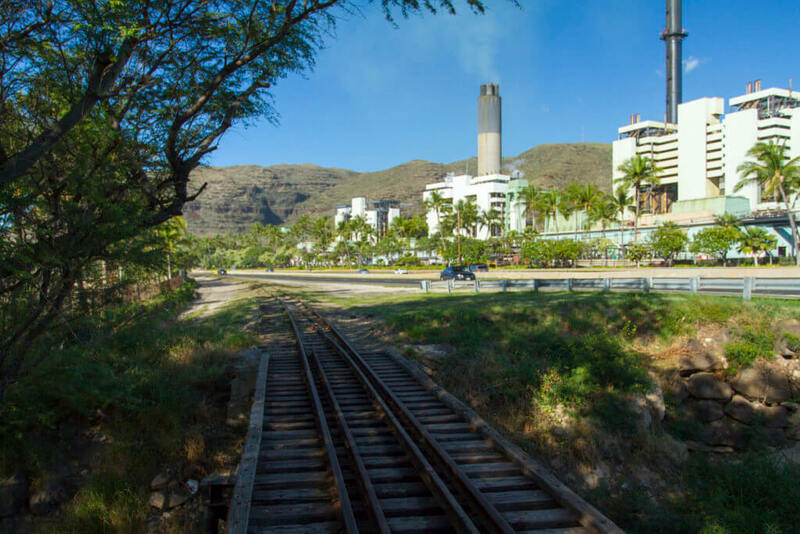 Most people that visit Oahu don't know that it is home to the remanent of a major railroad. 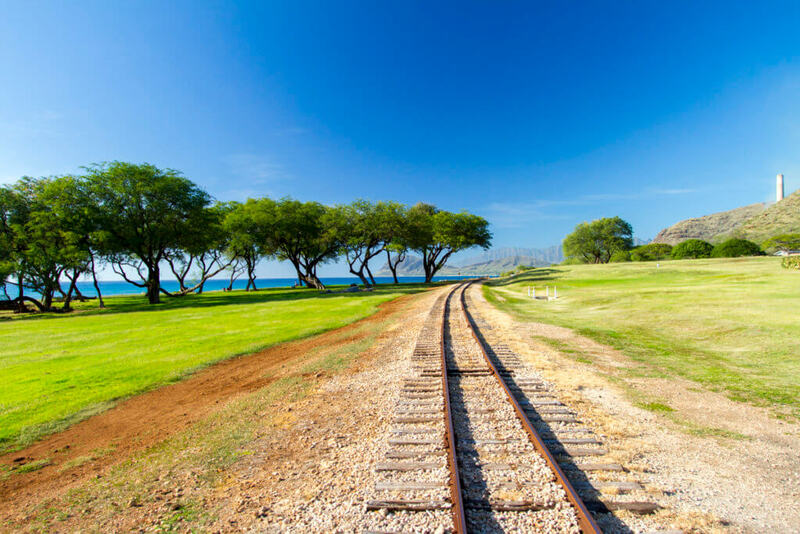 Formerly known as the Oahu Railway, the railroad was a Class I railroad founded by Benjamin Dillingham. 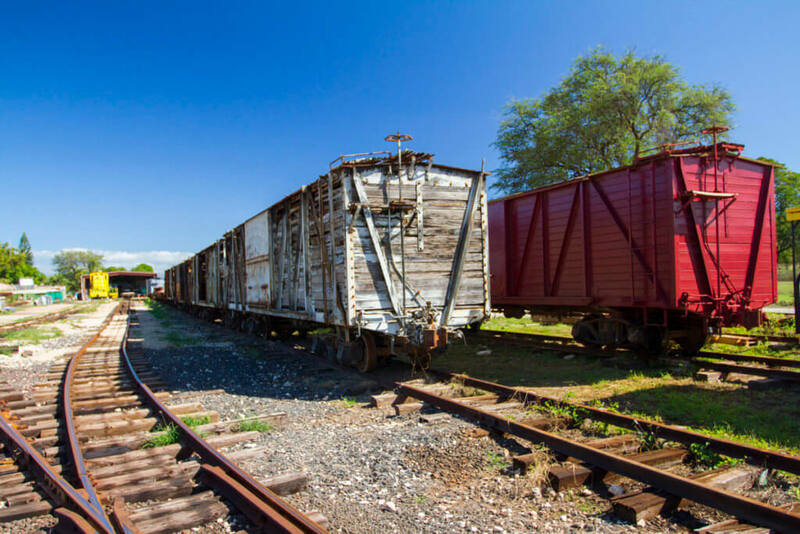 Dillingham's railroad once stretched over 71 miles from downtown Honolulu to Kahuku on Oahu's North Shore. 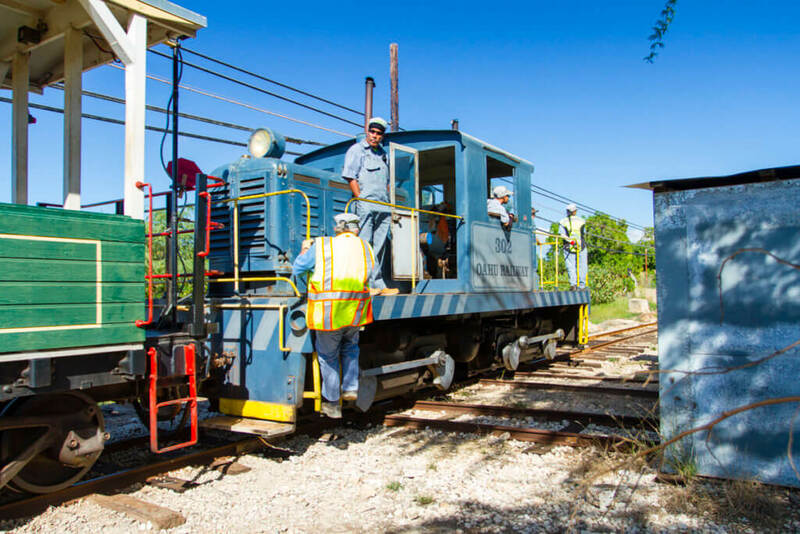 The purpose of the railroad was to provide transportation while also transporting sugar cane, pineapple, and more. 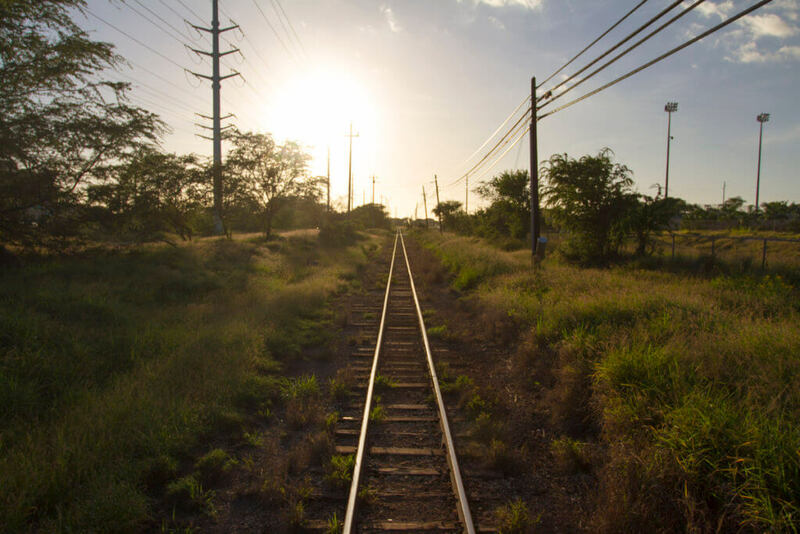 And, the railroad played a prominent role in establishing many towns along its route such as Aiea, Pearl City, Waipahu, Waianae, and more. 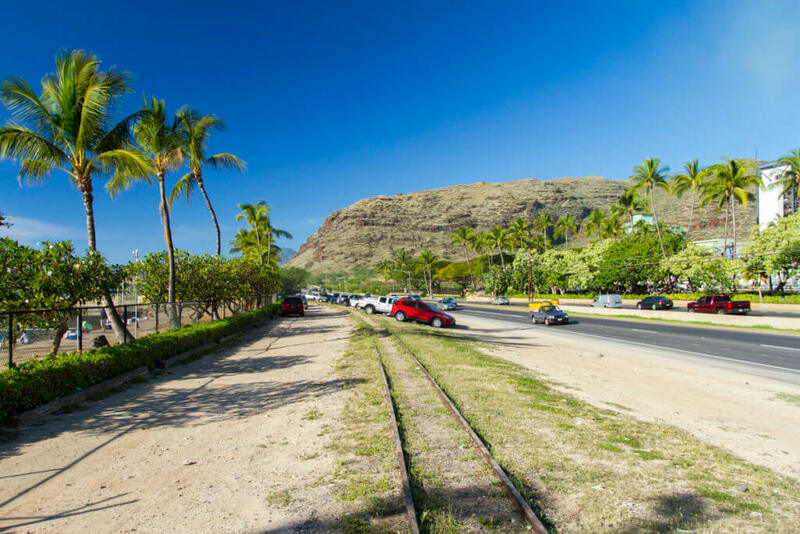 However, as Oahu's highway system developed, the need for the railroad went down. 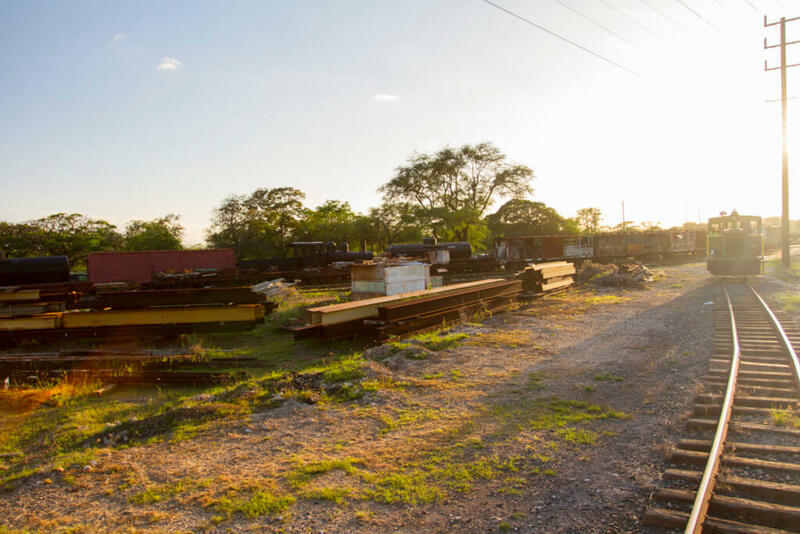 In fact, while World War II did provide a boost in usage, it took its toll on the railroad and quickened the development of roads. 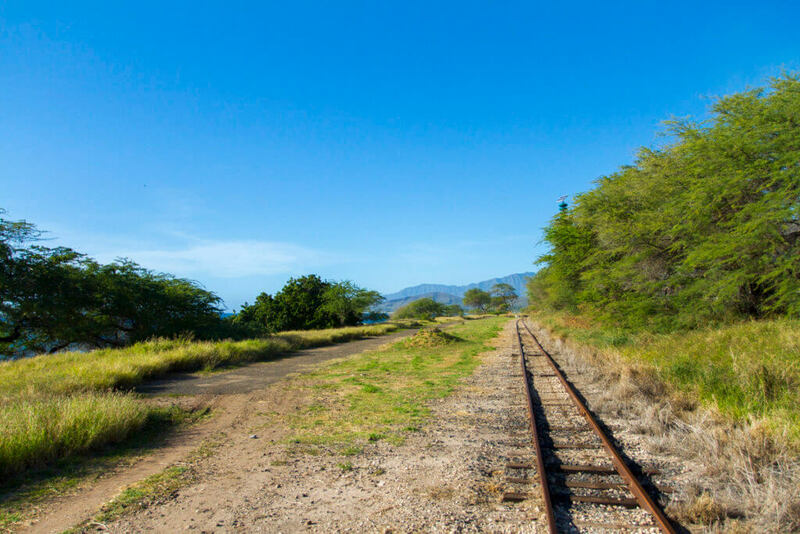 As a result, the Oahu Railway filed for abandonment not long after the war. 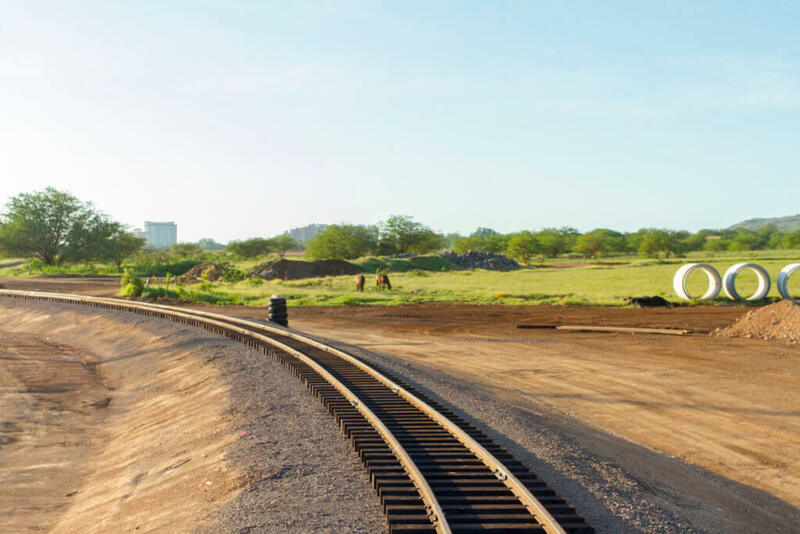 But the US Navy acquired the railroad right-of-way from Pearl Harbor's West Loch to the Lualualei Munitions Depot. Eventually, the US Navy decided to abandon the remaining stretch of track. 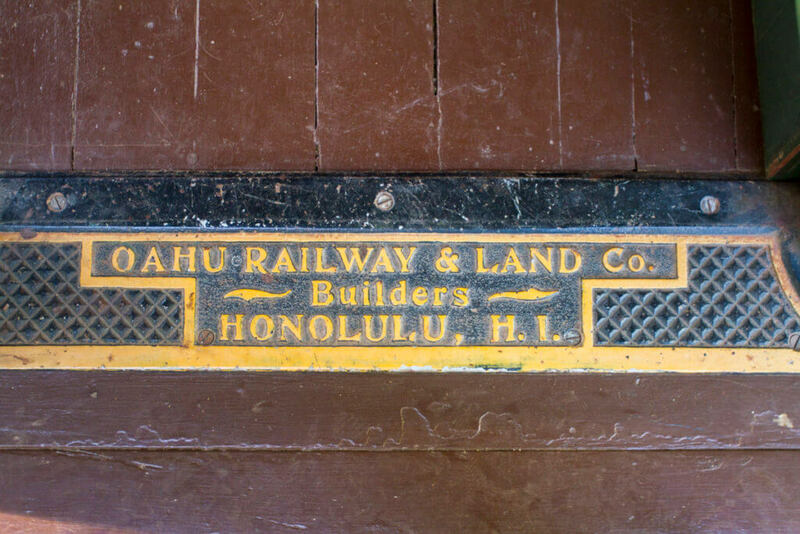 And, long story short, the Hawaiian Railway Society was created to preserve Hawaii's railway history. 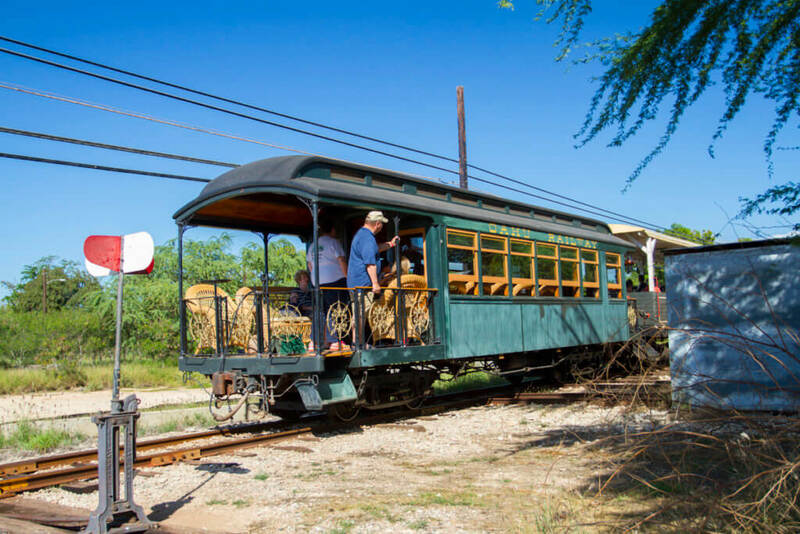 Operating out of a yard in Ewa, the Hawaiian Railway Society continues its preservation work today, while also offering rides to the public. 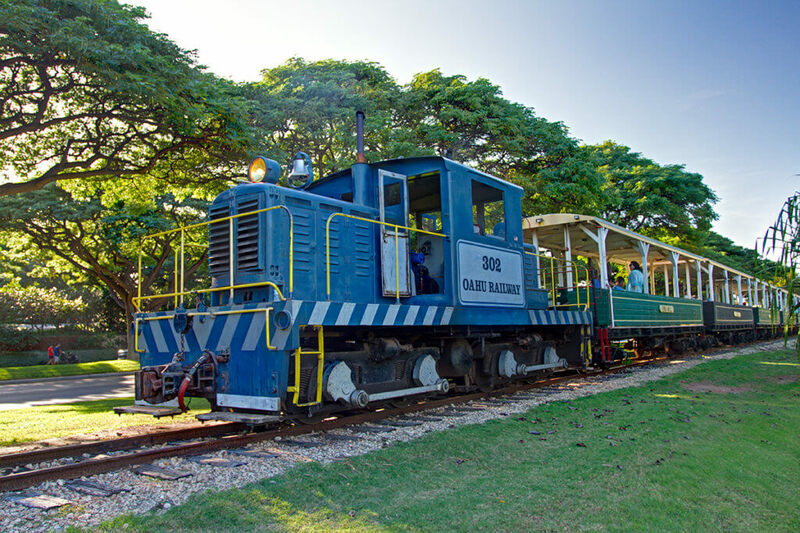 The Hawaiian Railway Society offers three rids a week, one at 3:00 pm on Saturdays, and another two on Sunday at 1:00 pm and 3:00 pm. 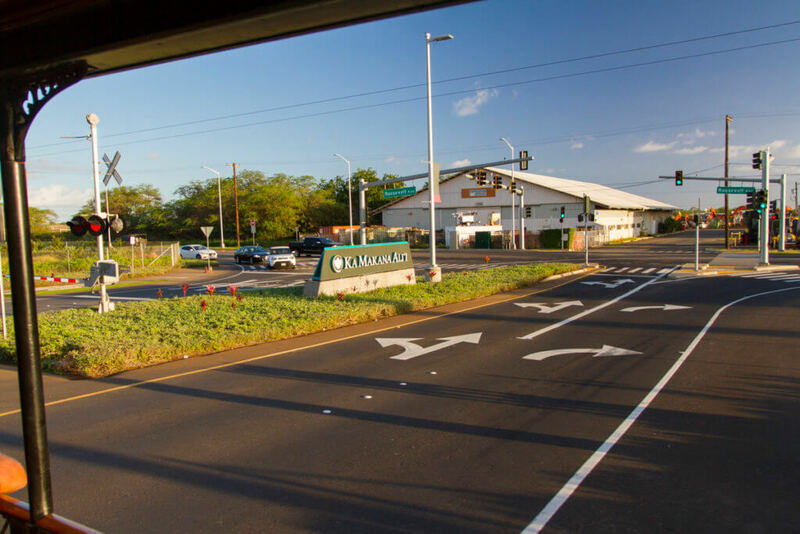 All rides last 90 minutes taking passengers from Ewa to Kahe point and back. 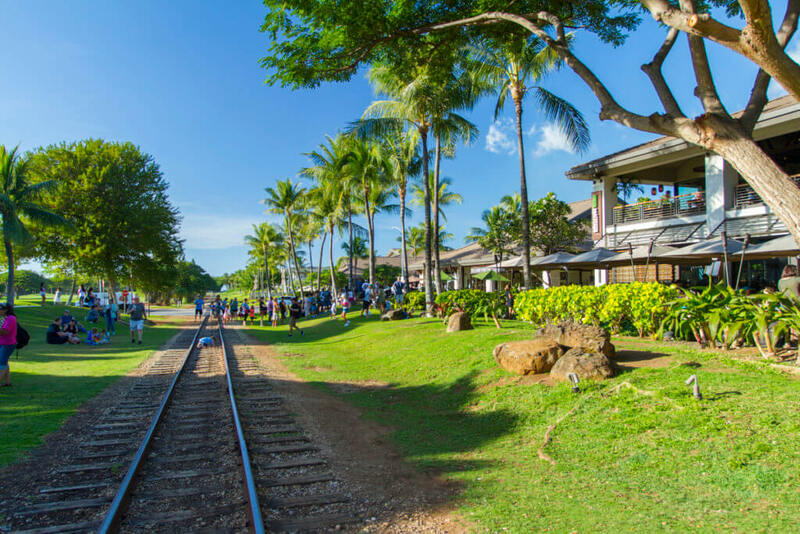 3:00 pm rides are "ice cream rides" stopping at the Ko Olina Station shopping center so passengers can purchase ice cream at Two Scoops. As of this writing, rides cost $15 for adults, $10 for children (2-12) and seniors (62 and up). Children 2 and under are free but must be held. 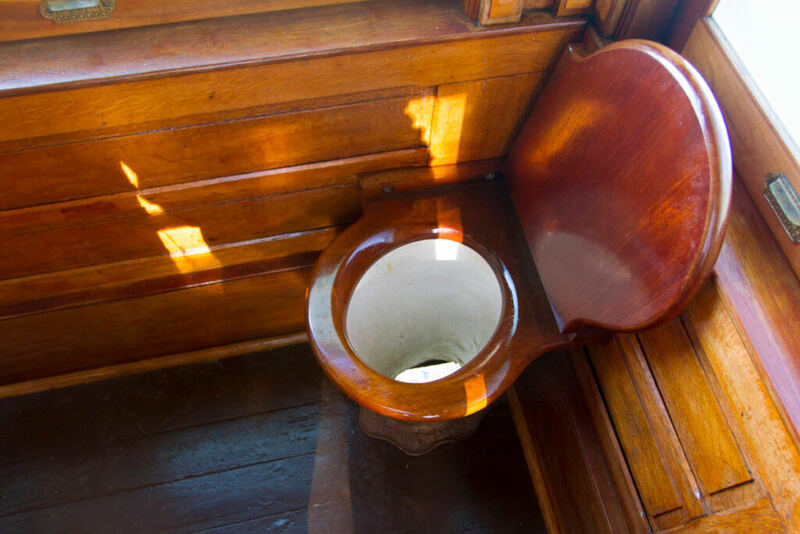 However, every second Sunday, the society adds Benjamin Dillingham's parlor car to the train, which guests may ride. Tickets for the Parlor Car costs $30 and go towards upkeep. Tickets go on sale two hours ahead of time and are first come, first serve. 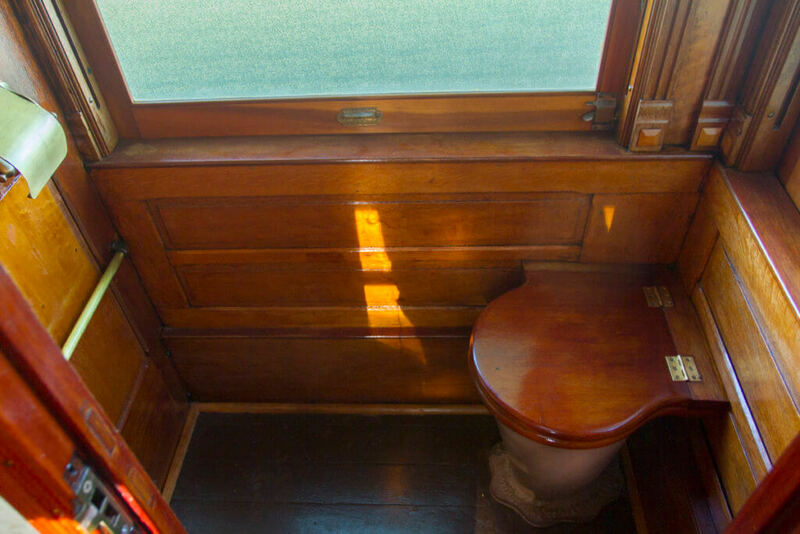 However, if you're going to ride the Parlor Car, you'll need to call in advance to reserve your seat. You'll still need to pay for your ticket in-person, though. 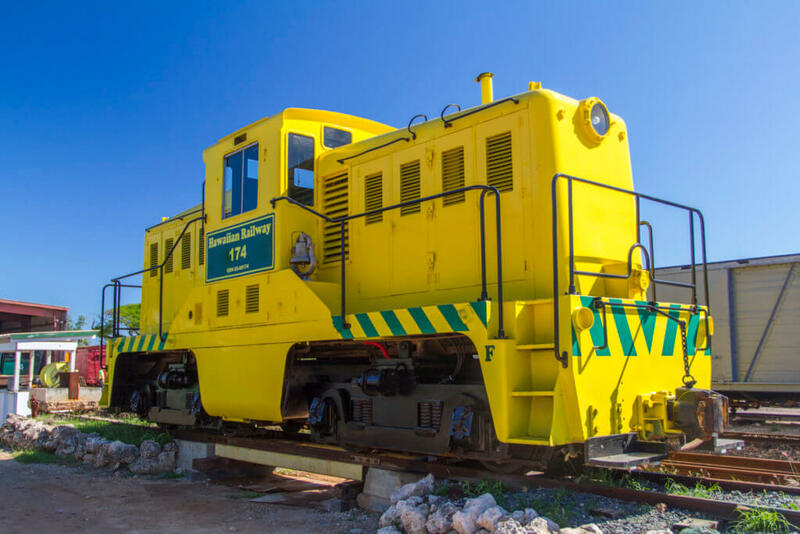 All trains are pulled by ex-Navy Whitcomb 45-ton switchers. For my particular ride, locomotive 302 was in use, while No. 423 had just finished an overhaul. 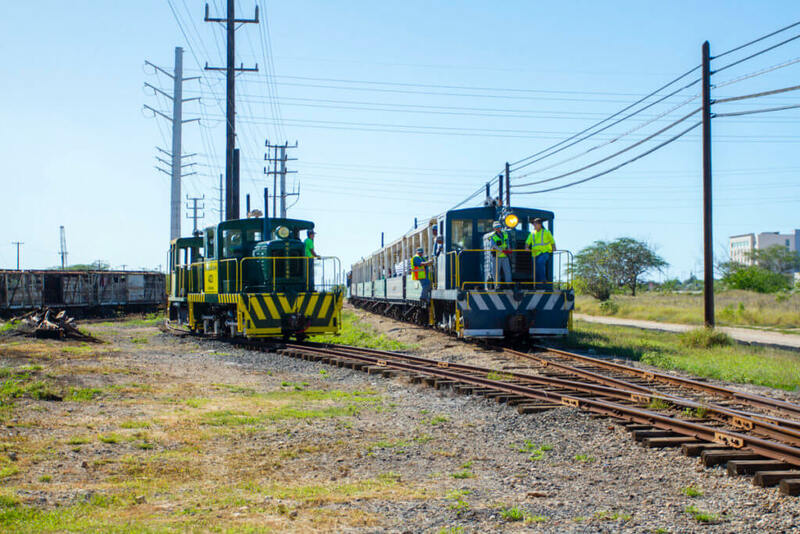 However, in the near future, the Hawaiian Railway Society will add a third locomotive to its active roster: ex-USN 65-ton GE switcher No. 174. 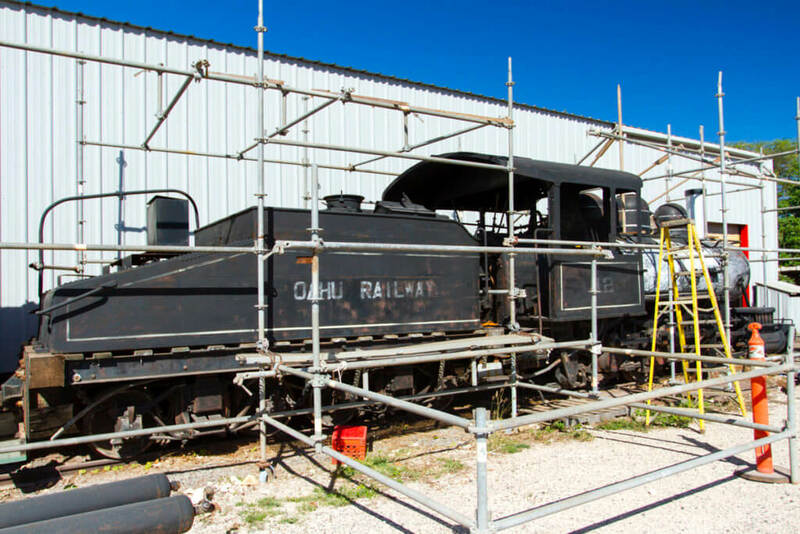 That locomotive is just wrapping up a major overhaul and has been making occasional, limited runs. On Sunday, January 14, I decided to take a ride for the first time in YEARS. 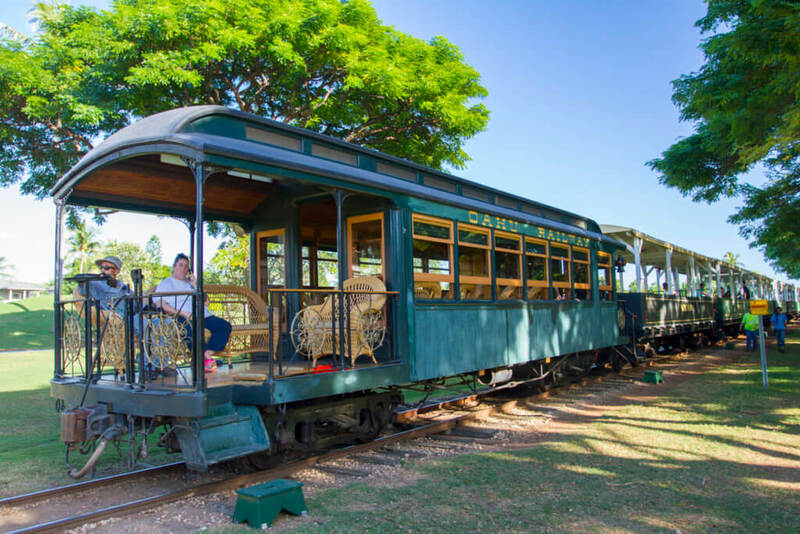 And since the Parlor Car wasn't even resorted the last time I visited the Hawaiian Railway Society, I decided to check it out. This, I might add, was a great idea, but more on that later. Though I didn't plan on getting ice cream, I opted for the 3:00 pm ice cream ride just to see what it's about. And to give myself time to snap some photos, I arrived at the yard at 2:00 pm. Parking is on a gravel lot and is tight, so keep that in mind. 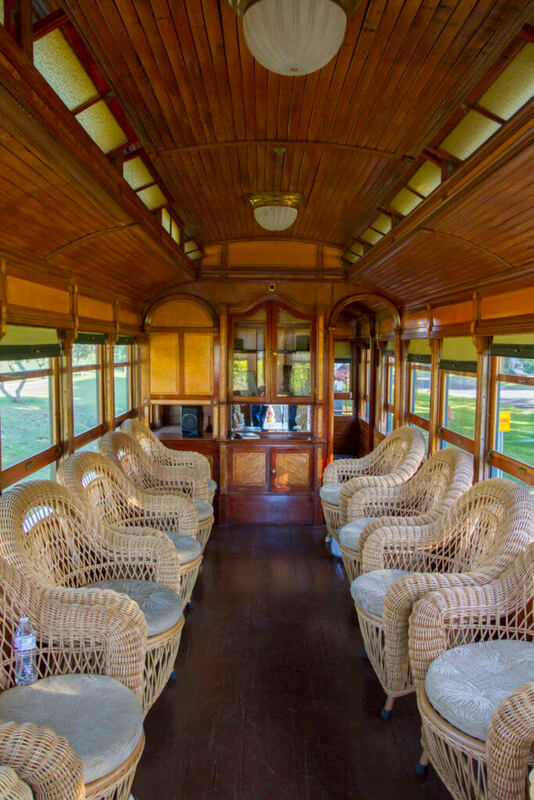 As I mentioned before, the Parlor Car has fewer passengers in it, which allows for a more intimate atmosphere. Adding to this is the fact that the car has its own narrator and its own set of rules. 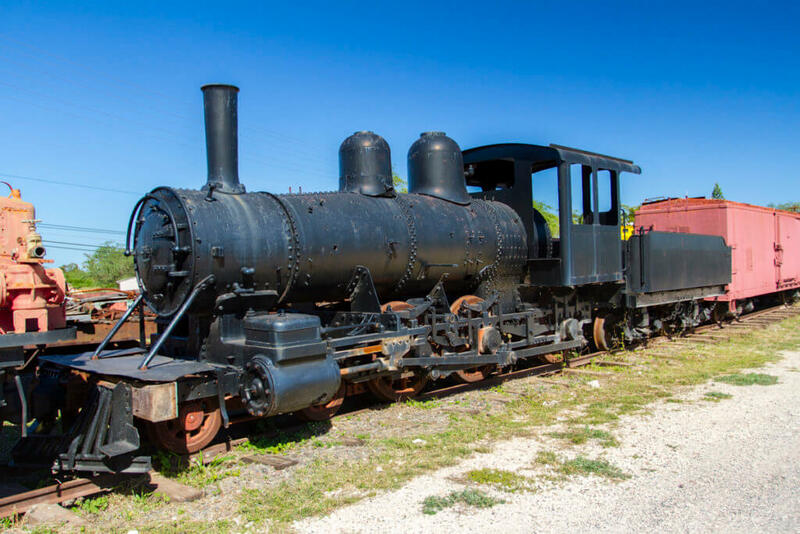 For example, you can get up and walk around in the Parlor Car while the train is in motion. Oh, and the Parlor Cr is fully enclosed, unlike the regular passenger cars, though it does offer seating on the observation deck too. 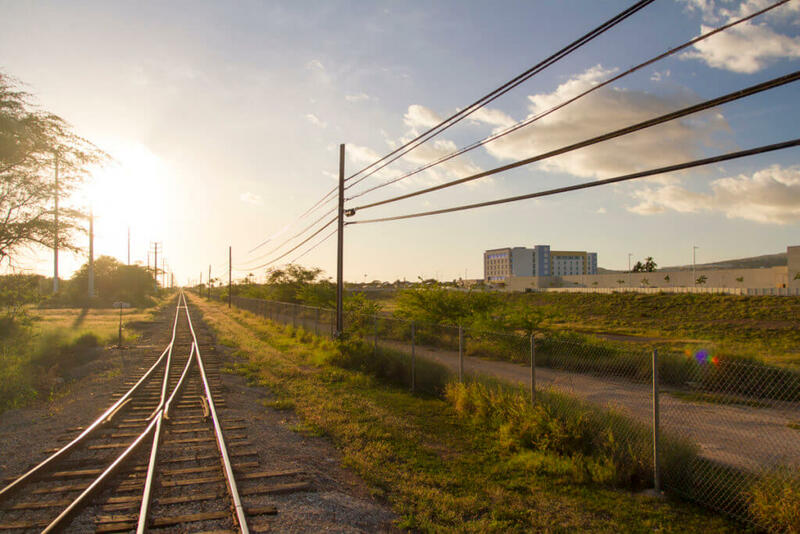 When I first started visiting the Hawaiian Railway Society, the area around the railyard and most of the right-of-way wasn't developed. But that has changed a lot in the past couple of decades. 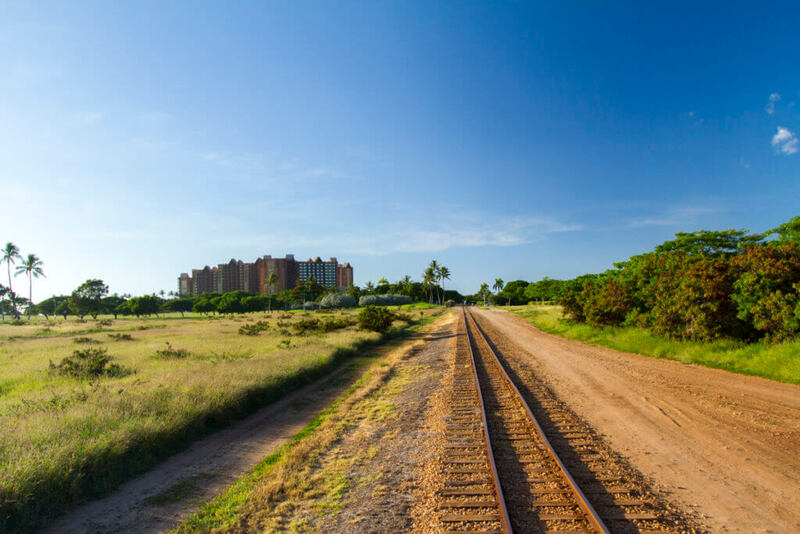 And, as a result, much of the scenery nowadays is of the developing second city of Kapolei. 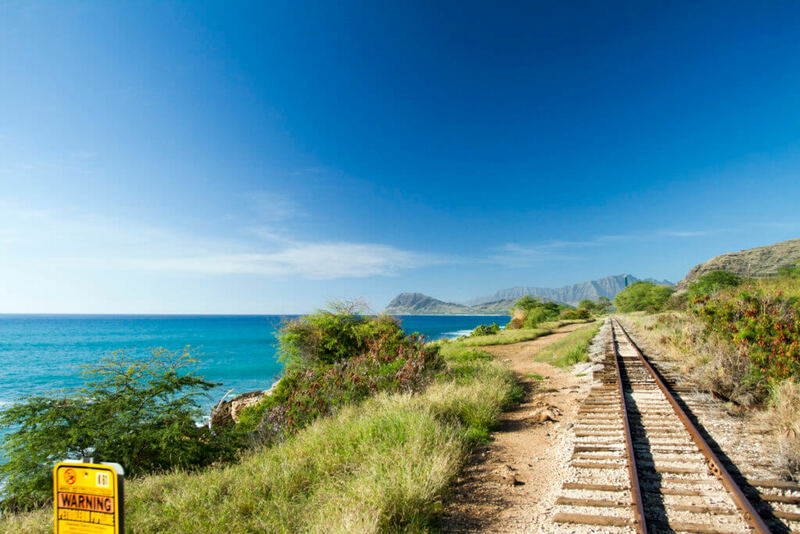 However, once you reach Ko Olina, you get fantastic views of Oahu's Leeward Coast and the Pacific. 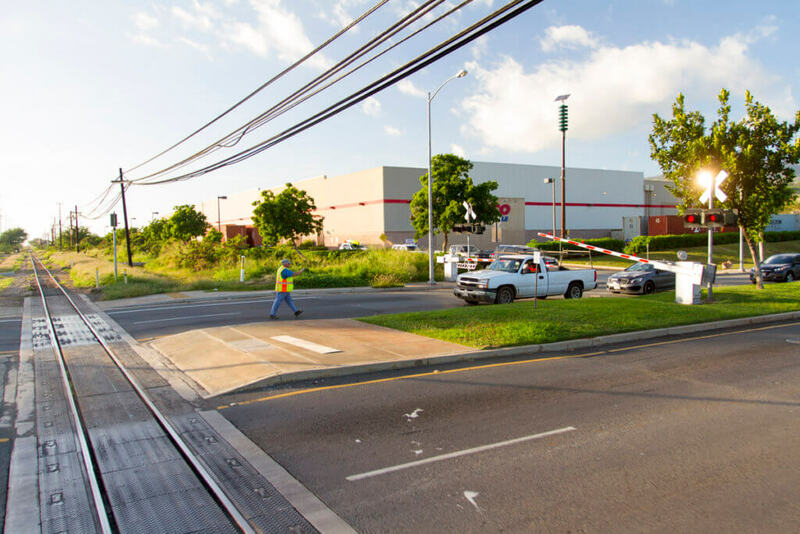 Costco grade crossing with a truck that tried to beat the gates. Don't try to beat the gates. Duh. 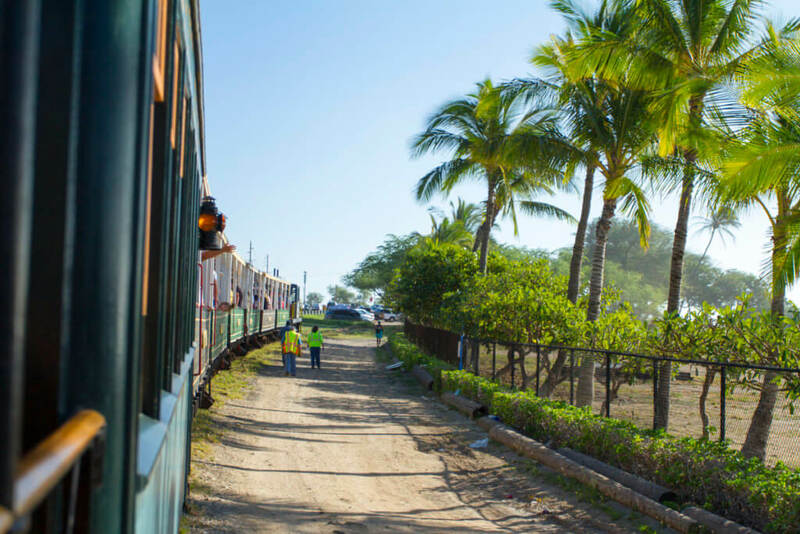 After stopping at Kahe Point, the end of the line, the train heads back towards Ewa. 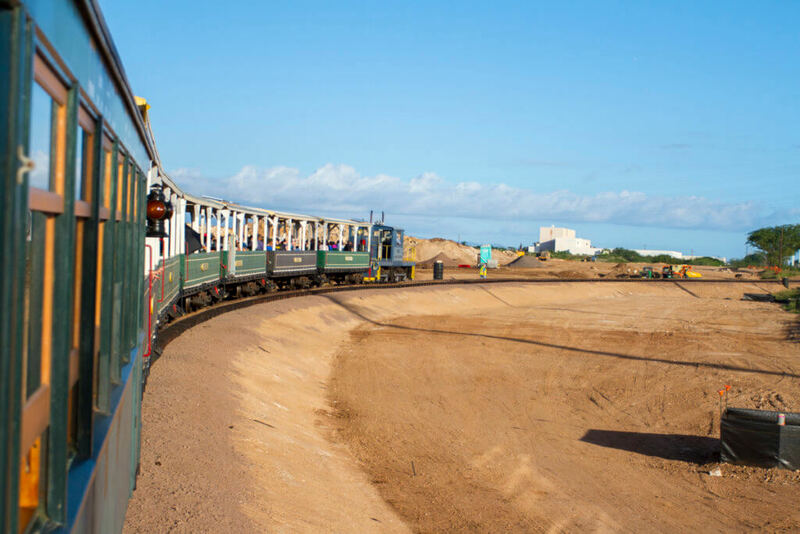 However, as mentioned earlier, the train stops in Ko Olina to allow passengers to purchase ice cream. 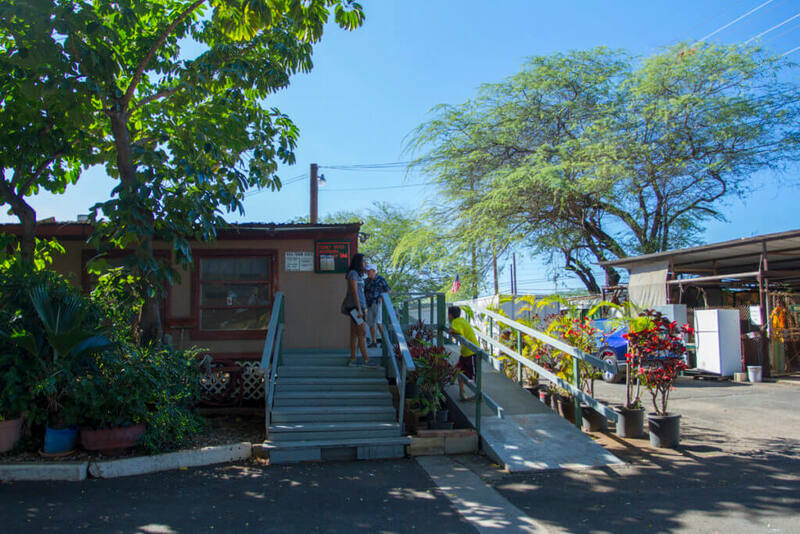 Here, you can hop off to purchase ice cream, or food or drink from any of the other establishments in Ko Olina Station. 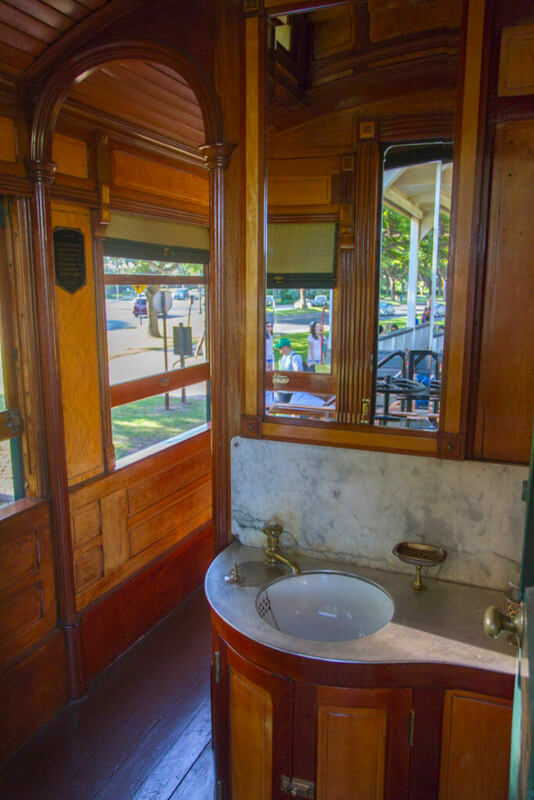 You will need to finish whatever you purchase before re-boarding the Parlor Car, though, to protect the historic car. The stop here lasts about 30-ish minutes. I took this opportunity to stretch my legs and snap some photos of the train. 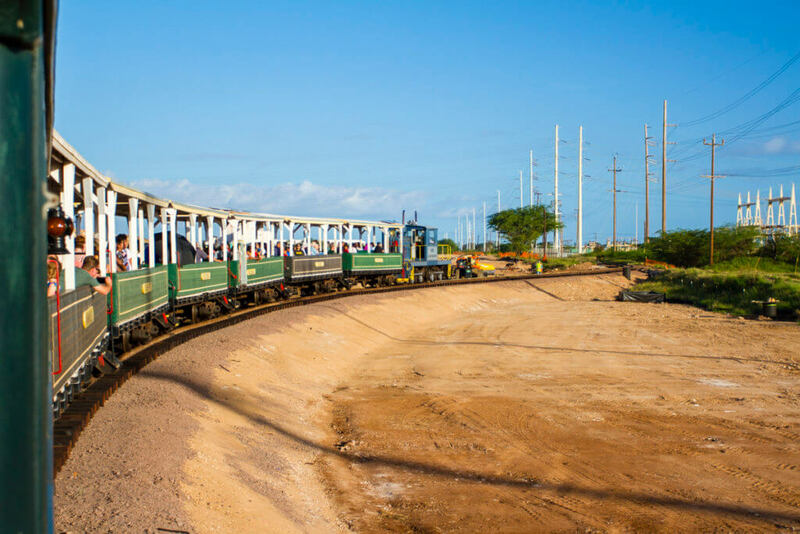 I forgot to mention earlier that, at least for a few months this year, the Oahu Railway's mainline is making its first deviation. 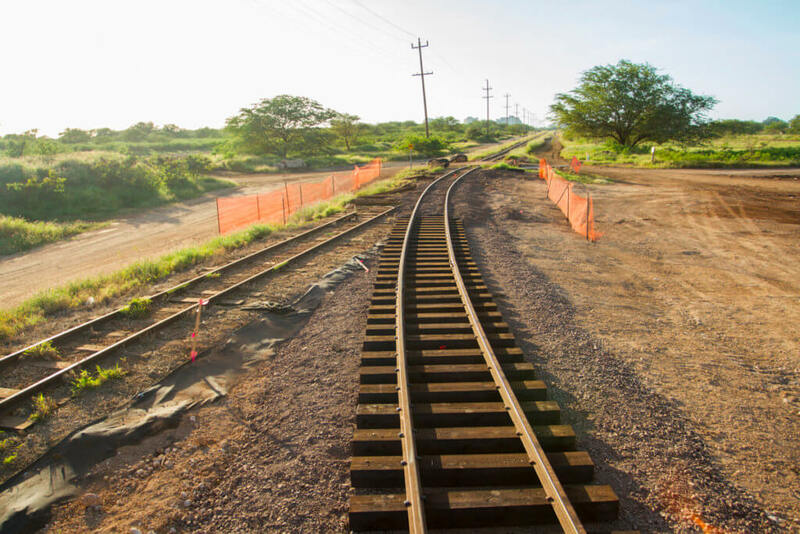 Thanks to a construction project related to the ongoing developments, the Hawaiian Railway Society built a shoofly. As a result, the train has to slow down on this section of track, slightly extending the duration of the ride. And, as it turns out, the day that I took a ride was the very first day this section of track was in use. 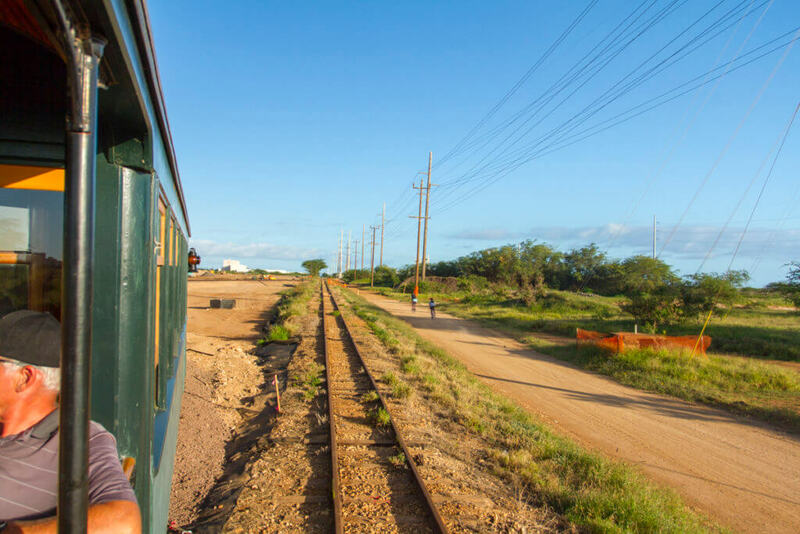 My experience at the Hawaiian Railway Society was a fantastic experience, as I expected. And it was even better thanks to the amazing volunteer that was narrating in the Parlor Car. I, unfortunately, don't remember her name, but she was very personable, funny, passionate, and knowledgeable. Plus, unlike the rest of the train, the Parlor Car is not full of little kids. Not that there's anything wrong with kids, but the rest of the train is quite a bit noisier. The Parlor Car, on the other hand, is definitely a much nicer experience. 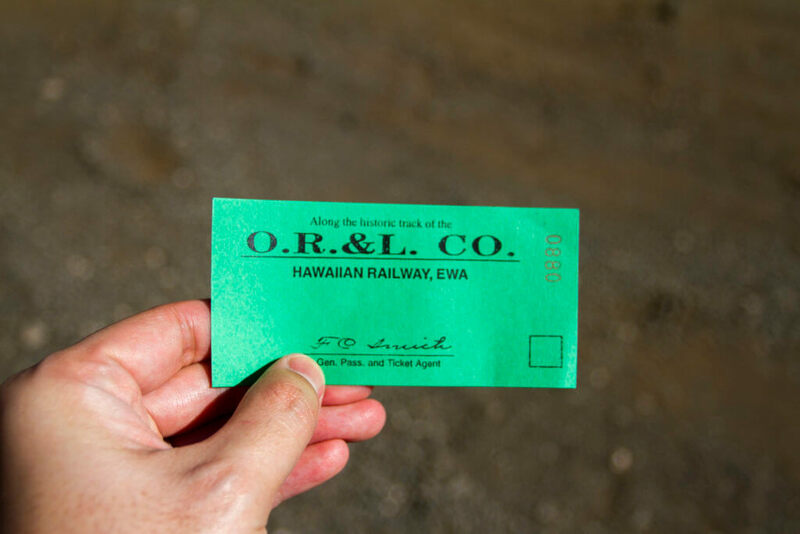 If you're a railfan like me, the Hawaiian Railway Society is an experience not to be missed. Not only do you get to see some unique sites, but by riding you're supporting a great cause. 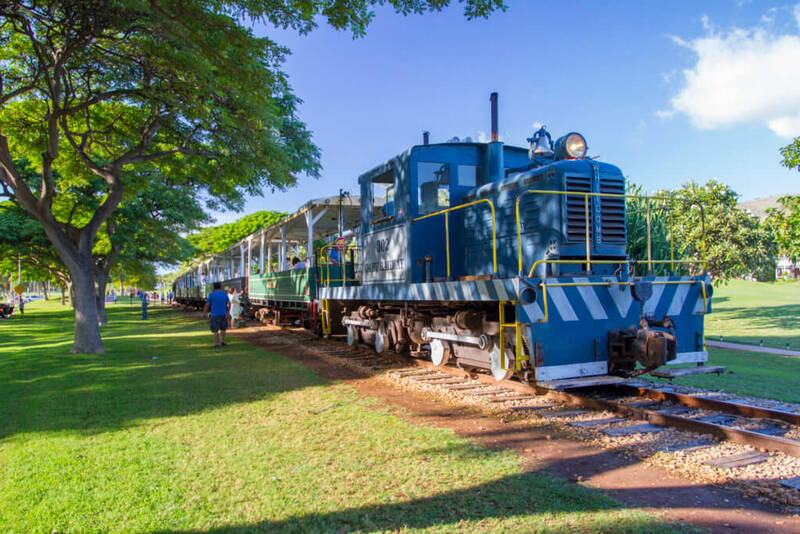 And, the Hawaiian Railway Society is the only place on Oahu that you can still see a variety of historic railroad equipment, including the last remaining Oahu Railway mainline locomotive.